Keeping up with Medicare patient notice requirements for timing, documentation, and beneficiary acknowledgement can feel onerous, but it doesn’t have to be that way. Although each notice has its own set of guidelines and implications, hospitals can develop standard processes that meet the requirements of major Medicare notices while reducing the burden on staff and allowing for transparency with beneficiaries. During this program, expert speaker Judith L. Kares, JD, will discuss the primary patient notice responsibilities of hospitals and staff while providing guidance on implementing common practices for delivery of notices. She will also discuss consequences of noncompliance, including the impact of notices on billing and reimbursement, particularly where occurrence codes 31 and 32 are concerned. This program has been submitted to The Commission for Case Manager Certification for approval to provide board certified case managers with 1.5 clock hour(s). 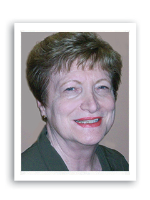 Judith L. Kares, JD, is an expert in Medicare rules and regulations and is an instructor for HCPro's Medicare Boot Camp—Hospital Version®. She spent a number of years in private law practice, representing hospitals and other healthcare clients, and then served as in-house legal counsel for two large third-party payers. For the past 20 years, she has continued to provide legal and related compliance services on a consulting basis. These services include development of strategic compliance programs; establishment of baseline risk assessments; creation of appropriate compliance documents (e.g., codes of conduct, corporate policies and procedures); creation of reporting mechanisms; development of training and communication plans, including related materials; compliance reviews and audits; research and advice regarding specific risk areas; and development of corrective action plans.